Dr. Marcie Schorr Hirsch is a recognized expert on what makes people and organizations succeed. She functions as a thought-leader/coach to CEO’s, senior managers, Heads of School, university Presidents and other leaders in a diverse array of roles to help them tackle key issues in their organizations and own careers. Working closely with these individuals, she helps them understand issues and potential solutions in new ways, allowing them to successfully address the obstacles standing between them and their desired outcomes. Marcie’s focus is on the interplay between individuals and the organizations they inhabit. Organizational challenges are viewed in light of the culture, strategy and goals of each system, while leadership and career challenges are understood in relation to the talents and values of each individual. This integrated approach generates innovative solutions and, most importantly, strategies that can be effectively executed to deliver the desired results. Hirsch is frequently tapped by the media for her expertise on workplace issues, is often quoted in local and national press and has appeared on the Today Show, Chronicle, and the PBS Emmy-nominated Out of Work. She has written for an array of magazines, journals and blogs, including Glamour, Working Women, People Management (a UK publication) and HBR.com. She has co-authored two books on workplace topics, including Workplace Diversity: A Manager’s Guide to Solving Problems and Turning Diversity into a Competitive Advantage and contributed chapters to several others. 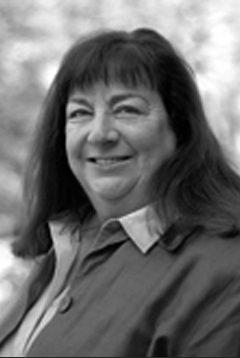 Prior to forming HirschHills, Marcie held senior positions at Wellesley College as well as administrative roles at Brandeis University and Tufts University. She holds a doctorate from the Harvard Graduate School of Education and has served as a board member and president of the Human Resources Leadership Forum. She has been an elected town meeting member in Belmont, MA for over a decade and a co-President of the Belmont Library Foundation.Dr. Marcie Schorr Hirsch is a recognized expert on what makes people and organizations succeed. She functions as a thought-leader/coach to CEO’s, senior managers, Heads of School, university Presidents and other leaders in a diverse array of roles to help them tackle key issues in their organizations and own careers. Working closely with these individuals, she helps them understand issues and potential solutions in new ways, allowing them to successfully address the obstacles standing between them and their desired outcomes. Marcie’s focus is on the interplay between individuals and the organizations they inhabit. Organizational challenges are viewed in light of the culture, strategy and goals of each system, while leadership and career challenges are understood in relation to the talents and values of each individual. This integrated approach generates innovative solutions and, most importantly, strategies that can be effectively executed to deliver the desired results. Hirsch is frequently tapped by the media for her expertise on workplace issues, is often quoted in local and national press and has appeared on the Today Show, Chronicle, and the PBS Emmy-nominated Out of Work. She has written for an array of magazines, journals and blogs, including Glamour, Working Women, People Management (a UK publication) and HBR.com. She has co-authored two books on workplace topics, including Workplace Diversity: A Manager’s Guide to Solving Problems and Turning Diversity into a Competitive Advantage and contributed chapters to several others. Prior to forming HirschHills, Marcie held senior positions at Wellesley College as well as administrative roles at Brandeis University and Tufts University. She holds a doctorate from the Harvard Graduate School of Education and has served as a board member and president of the Human Resources Leadership Forum. She has been an elected town meeting member in Belmont, MA for over a decade and a co-President of the Belmont Library Foundation.